I chose Barry M Coconut infusion, Laguna as last week's nail paint of the week. 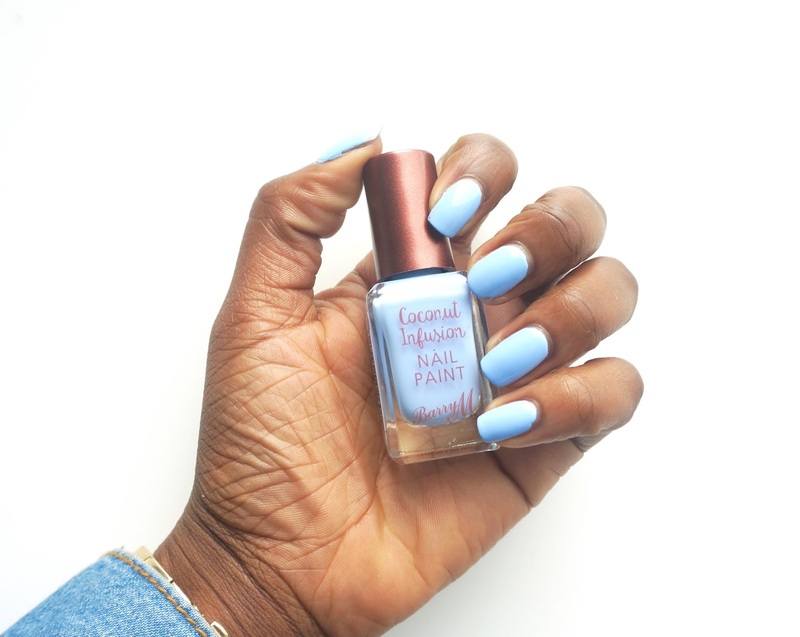 After attending the Barry M coconut infusion launch the previous view, I was itching to try it on despite having only painted my nails in Barry M cream soda a couple of days before that. You can catch my blog from the launch here if you haven't already seen it. The amazing thing about the Barry M coconut infusion polish is that you can skip out on using a base coat because the nail paint has both coconut oil and coconut water in the mixture. This invariably means one less step in my nail painting routine which is something I welcome on my end. To achieve the results in the images above, I applied two coats of the Barry M Coconut infusion nail paint in Laguna and then topped it off with Barry M's plummy top coat. It was touch dry in a matter of minutes but given that I don't have a nail dryer just yet, I like to give my nails a full hour to ensure it is completely dry. 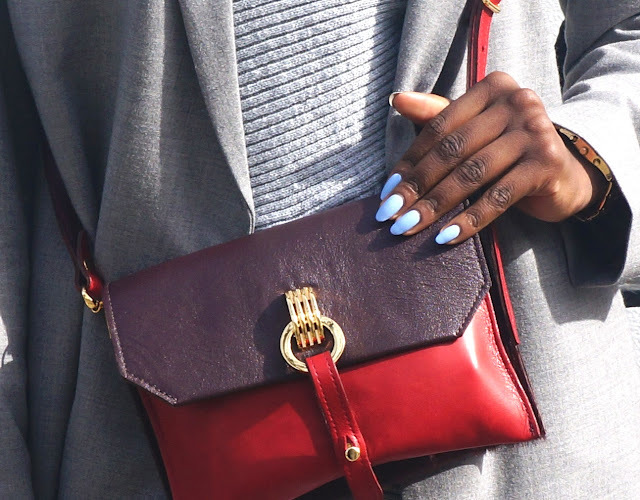 Therefore I carry out minimal tasks involving my hands within that hour so as not to smudge or cause an imprint on my fresh manicure. I take no chances when it comes to drying my nails so as to avoid having to repaint when the unfortunate happens. You can grab Laguna from the Barry M coconut infusion range from either Barry M.com, Superdrugs or Boots.